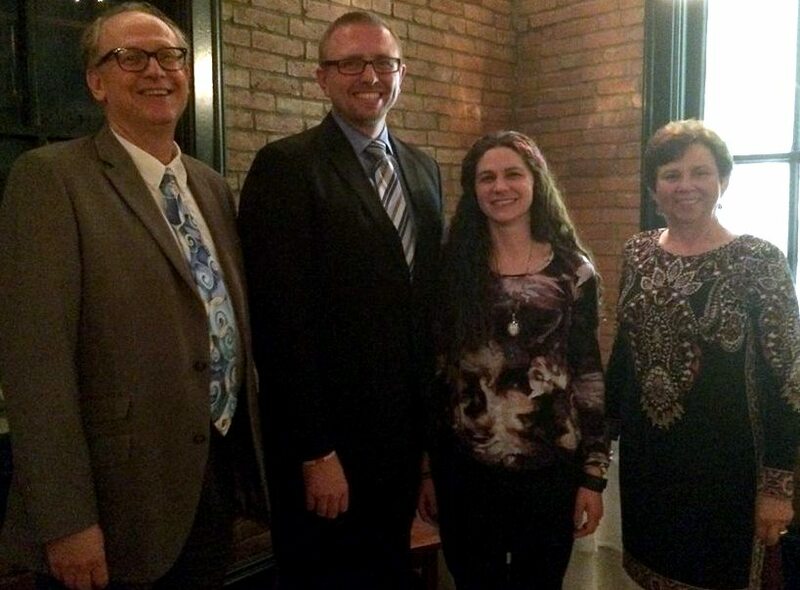 Associate Pastor at Zion Lutheran Church in Bethalto, Illinois, Reverend Kale Hanson was our guest speaker for our seventh-annual Higher Ground Dinner, which was held on Thursday, March 9th at Gallagher’s Restaurant. This annual gathering offers an opportunity for Camp Wartburg’s Higher Ground donors to spend an evening dining together, as we recognize them for their continued financial support of our ministry. (Donors in this special group gave $500 or more in 2016.) We began this program in 2010 with 48 members. We were pleased to have 96 Higher Ground members in 2016. Pastor Hanson shared stories about his time spent at Camp Wartburg and other camps as a camp counselor. He valued his time spent here and appreciated the support he received. He shared his belief that his camp ministry led him to the seminary. He told our donors that there is “something special” and “something different” about camp. Ultimately it is the Love of Jesus that children feel and are able to acknowledge while they are here. Become a donor of $500 or more between now and January 31, 2018 and join us for our eighth annual dinner in March 2018.